How Do You Red Bean? 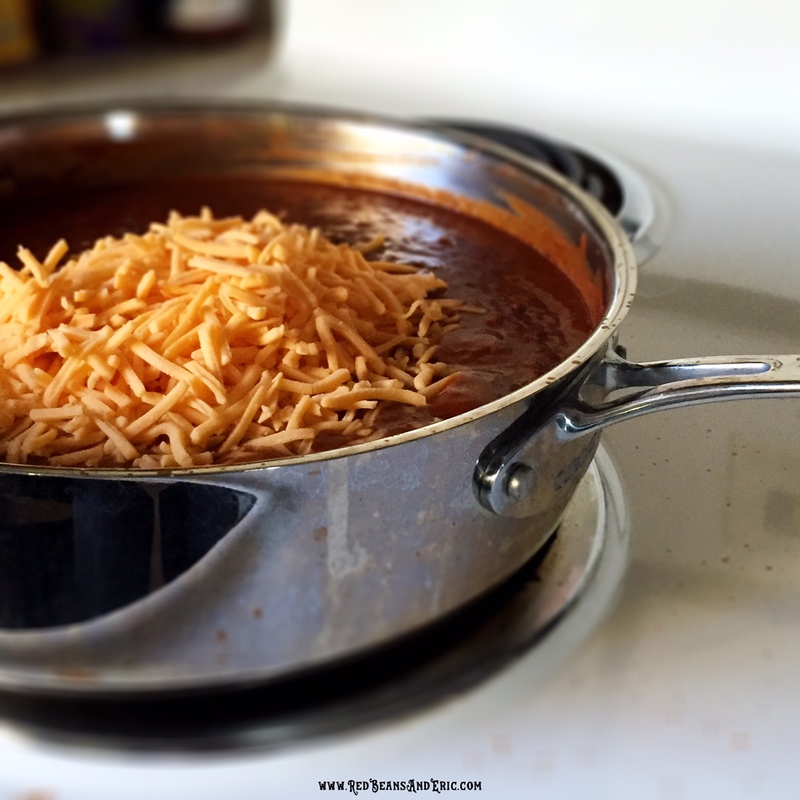 UPDATE: My recipe version of the Taco Bell Chili Cheese Burrito, the Chilito, has been one of my most popular articles since I first published it back in 2015. It’s also perhaps the most controversial. Controversial? 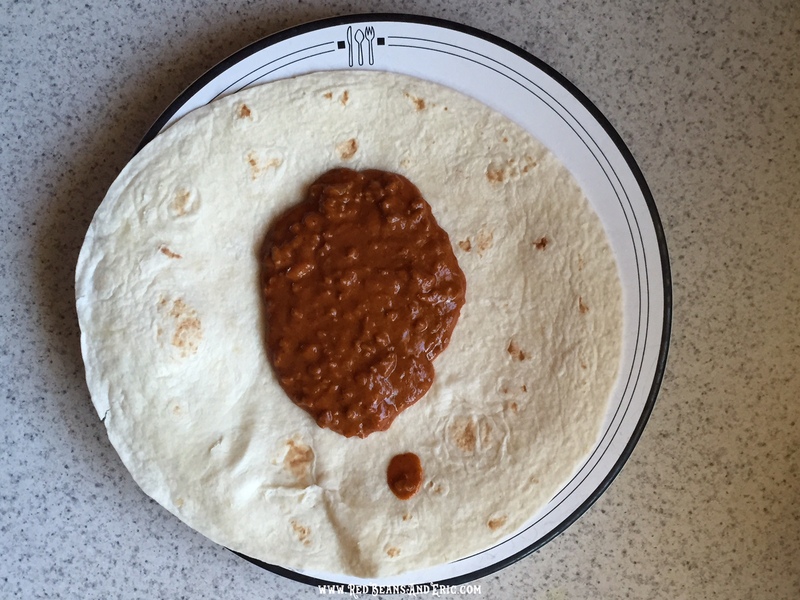 I have received so many comments and emails saying that this is not the Taco Bell recipe because they didn’t use beans. I know that this isn’t their recipe. It’s mine. So, I added the ‘inspired by’ tag and offer this disclaimer: I think that this is a great recipe that tastes pretty damn close to the way that I remember the chilito to taste like. It’s not an exact copycat. I get it. With that being said, I hope that you enjoy this recipe. I think it tastes amazing and it brings back some great memories. As always, let me know what you think of the recipe in the comments below. Have you tried to make a copycat version of the chilito? Share with us. I’d love to try it. Below is the original post. My formative years where in the ’90’s. It’s my favorite music, television shows when I meet my wife and was able to buy my own food. Well, the only food I can remember, besides the Paul Bunyan Plus breakfast platter from Ram’s Horn, was the chilito from Taco Bell. I probably had one or two every day. I’m not kidding. I loved it that much. When I was in high school, I went to a vocational training center for the first part of my day. On the way back to the high school, whoever would be driving, would always stop at the Bell for lunch. And I bought a chilito or two every time. At some point, Taco Bell changed the name of the chilito to the Chili Cheese Burrito. Apparently ‘chilito‘ means something completely different in Spanish then what Taco Bell was going for. I wonder who the marketing whiz that made that blunder was? But opposite to what the Spanish version means, this was a big burrito. It was steamed burrito packed with gooey chili and melted cheese. I thought that it was amazing and as long as Taco Bell was serving it, I was going to keep buying it. I remember taking a road trip once with an old buddy of mine. We were bored out of our minds. So we drove from Detroit to Sandusky, Ohio where the amusement park, Cedar Point is. The thing is, once we arrived in Sandusky, we went to Taco Bell and ordered our Chili Cheese Burritos. After eating I asked, ‘Now what?’ So we gassed up and made the two-hour drive back home. That’s not all we did in Sandusky. We did walk through the mall and bought a gift card for another friend who was having a birthday. The joke was on him when he wanted to spend that gift card because he would have to drive the two hours to the mall to shop. I hope that twenty-bucks was worth it! Maybe in the late-90’s or so, Taco Bell discontinued the burrito – at least where I live – supposedly there’s an urban legend that some areas of the country still offer it. There’s another rumor that the Chili Cheese Burrito is on Taco Bell’s ‘secret‘ menu. It must be a really good secret because none of the restaurants around me make it. There are still times when I crave the cheesy burrito. Maybe it’s when Candlebox, Soundgarden or Nirvana is playing on the radio? I’ve searched online for copycat recipes. There are a few, but I have only made two that come close to the flavor of the real thing. The one I like the most is from CigarObsession.com. They offer a 14-minute video on the recipe. It’s cumbersome to watch and get the ingredients and proper steps. They also use multiple pots and pans to finish the dish. (If you want to watch the video and see how they prepare the recipe, here is the link.) I use the same ingredients that they do, but I simplified it so it can be made in one large pot. Plus, I wrote down the recipe! Besides tasting amazing, the recipe makes a lot. In fact, there is so much that I used some of it for an equally amazing chip dip by stirring in some salsa. 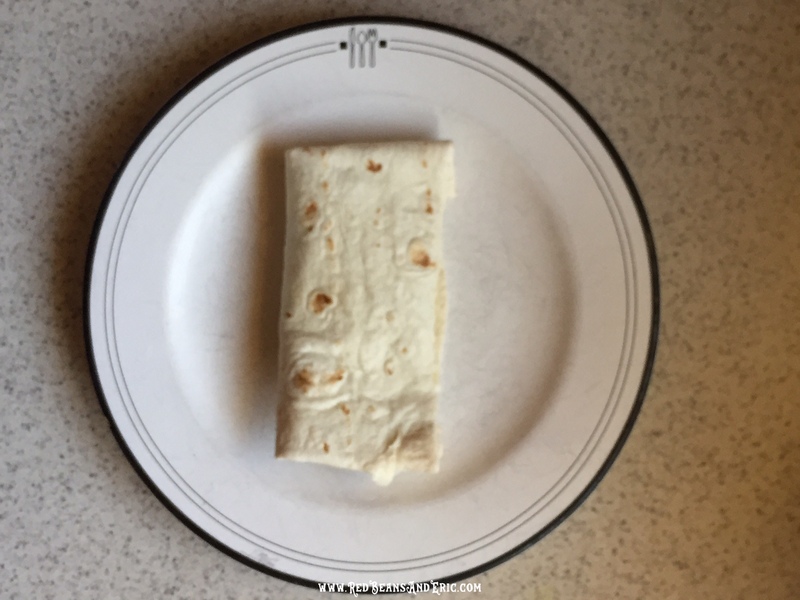 If you loved the Chili Cheese Burrito from Taco Bell and have been looking for a good recipe to match it, crank up the Pearl Jam, put on reruns of Friends, and enjoy this recipe! Brown the ground beef along with the diced onions. Once browned, drain the fat, and add the cayenne pepper, salt, and the chili powder to the pot. Pour in the water and make sure that the seasoning is well mixed in and dissolved. 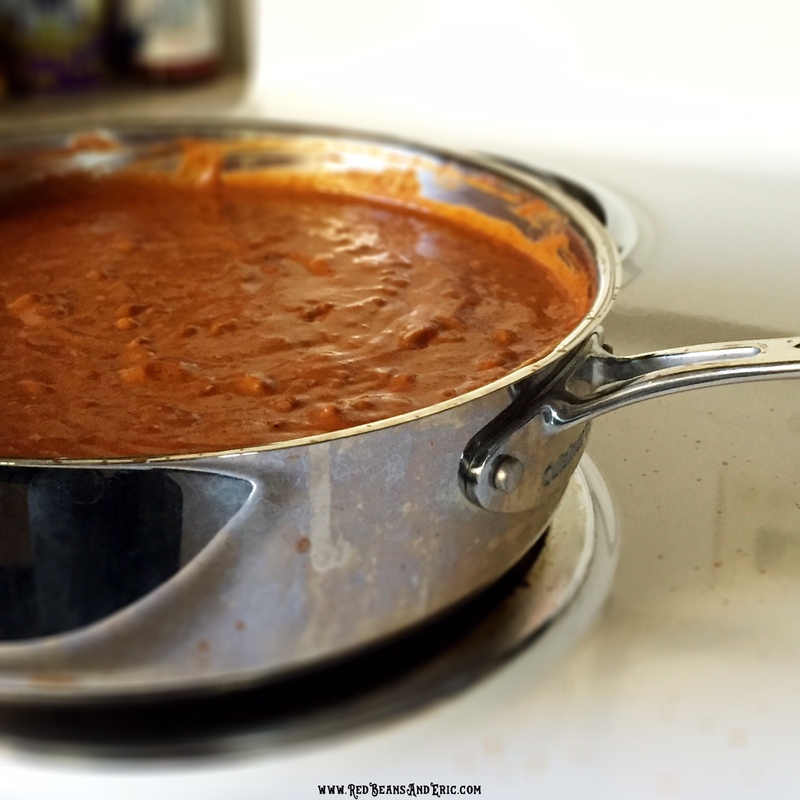 Add the refried beans and tomato paste to the pot and stir until smooth and everything is well combined. Slowly add the shredded cheese to the pot. Keep folding the cheese in until it has all melted. 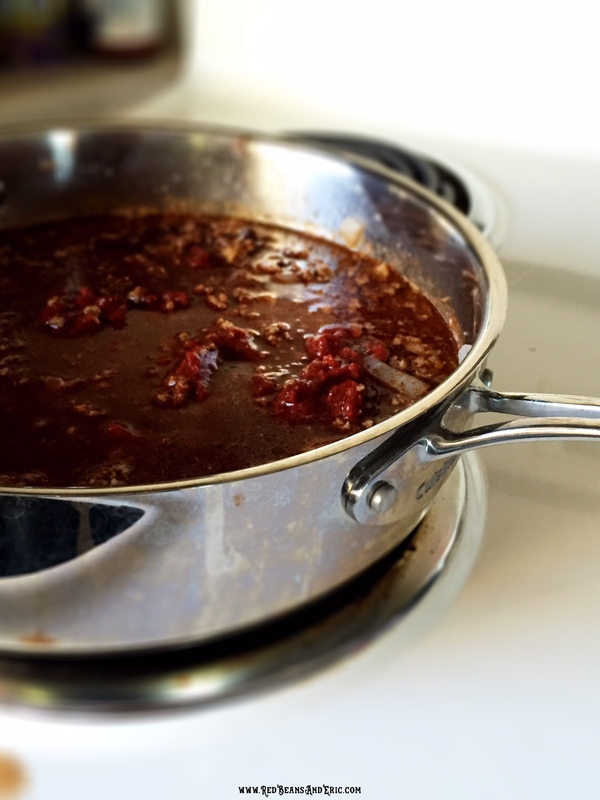 Let the chili cheese sauce slowly simmer for about 10 minutes. Keep stirring so nothing sticks to the bottom of the pot. Run each of the tortillas under the faucet to wet. 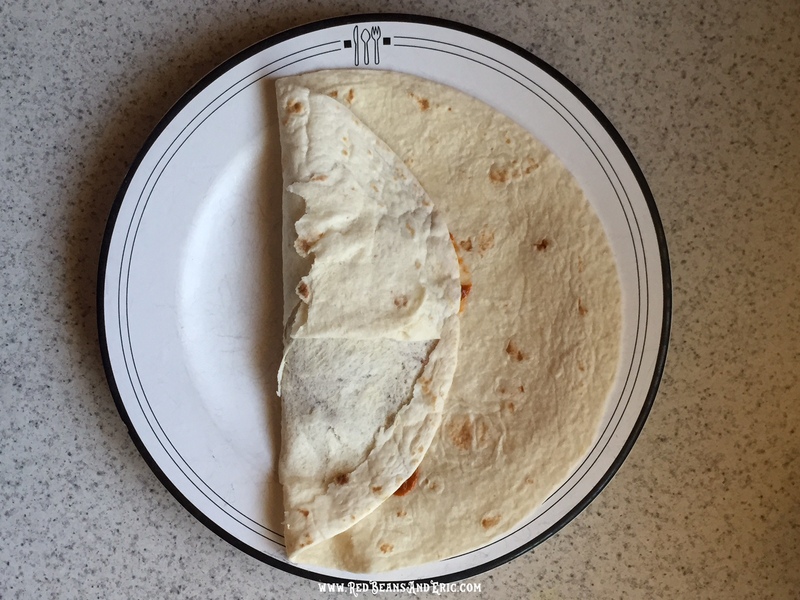 Place the tortillas on a microwave-safe plate and microwave for 1 minute. To serve, spoon about 3-4 tbsp of the chili cheese sauce into the center of the warmed flour tortilla. Pull one end up to the center to cover the sauce. Tuck the ends of the tortilla in. Pull the opposite end down to make a finished burrito. Repeat until all the burritos are made. I love this recipe and the Taco Bell Chili Cheese Burrito. Let me know what you think of the recipe and the ‘chilito’ in the comments below. Thank you! 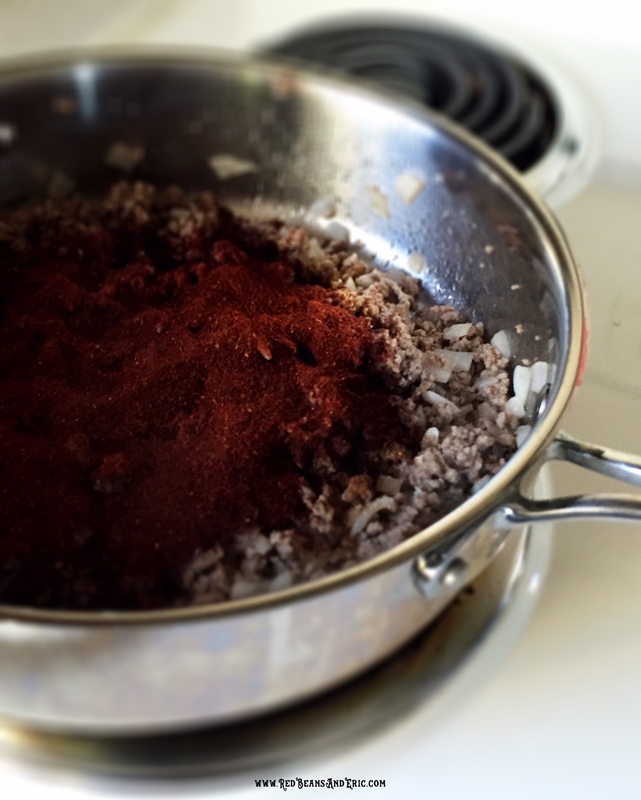 In a large skillet, over medium heat, brown the ground beef along with the diced onions. Once browned, drain the fat. Add the cayenne pepper, salt, and the chili powder to the pot. Pour in the water and make sure that the seasoning is well mixed in and dissolved. In a small bowl, combine the cornstarch and water, then add to the pot. Add the refried beans and tomato paste to the pot. 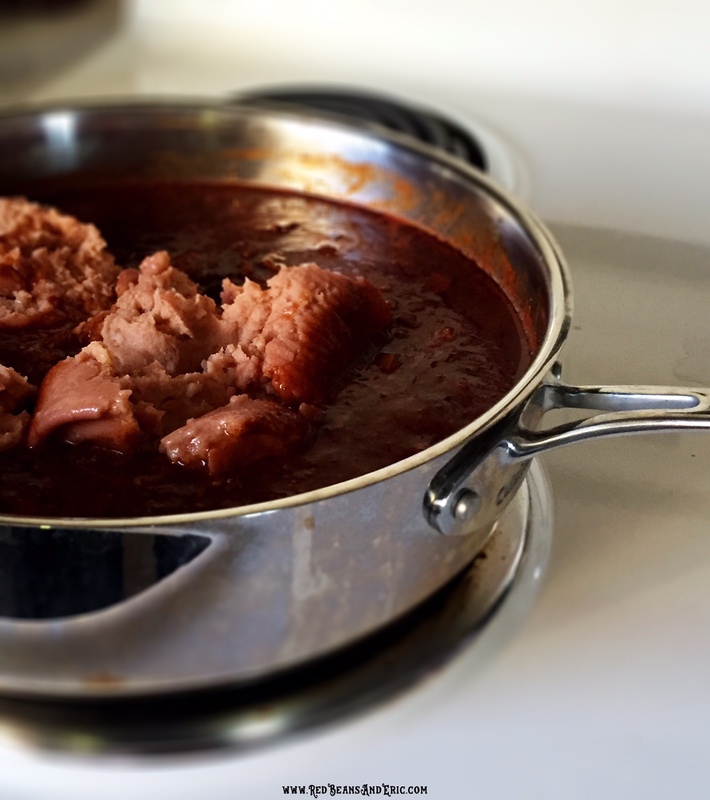 Keep stirring the pot until the refried beans and tomato paste have become smooth and everything is well combined. Slowly add the shredded cheese to the pot. Keep folding the cheese in until it has all melted. Reduce the heat down to medium-low. Let the pot simmer for about 10 minutes, stirring frequently so nothing sticks and burns on the bottom. Run each of the tortillas under faucet to wet. 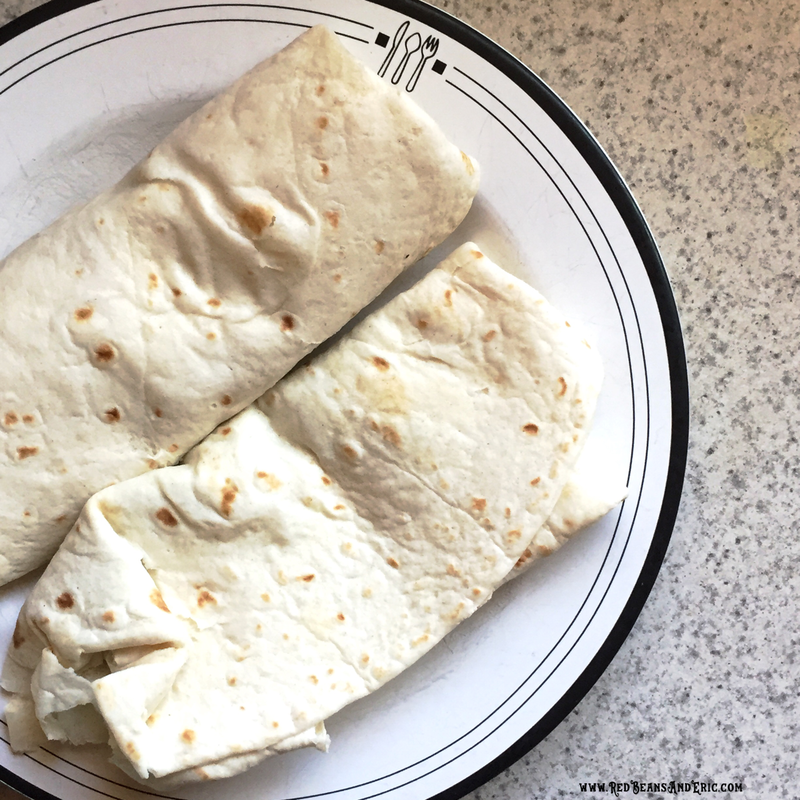 Place the tortillas on a microwave safe plate and microwave them for 1 minute. To serve, spoon about 3-4 tbsp on the chili cheese sauce into the center of the warmed flour tortilla. Pull one end up to the center to cover the sauce. 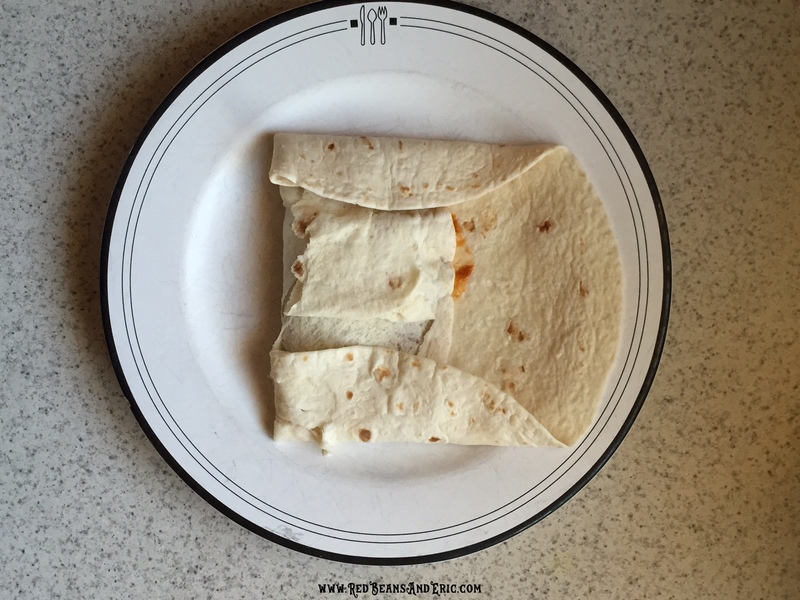 Tuck the ends of the tortilla in and roll to close the burrito. Enjoy! If you enjoyed this recipe, please subscribe to the Red Beans & Eric Newsletter so you don’t miss a recipe, interview, or review. And by signing up, I’ll send you a free e-cookbook that includes some of the most popular recipes found here on the website. You can always stay in touch with me by leaving a comment in the section below, by clicking here or messaging me on any of the social media sites that I am on. If you take a photo of any of the recipes that I’ve shared here, please tag it using #RedBeansAndEric so I can find it! Keep the red beans cookin’! Eric Olsson is the food blogger of RedBeansAndEric.com. He publishes new recipes and interviews weekly. He has developed recipes for author Todd-Michael St Pierre for his book, The Southern Po’boy Cookbook, published by Ulysses Press, and for the famous Camellia brand in New Orleans. His Creole seasoned turkey recipe was runner up in the Taste of Home magazine’s annual Thanksgiving recipe contest, and he has been mentioned in Louisiana Cookin’ magazine. He lives outside of Detroit, Michigan, with his wife and three children. 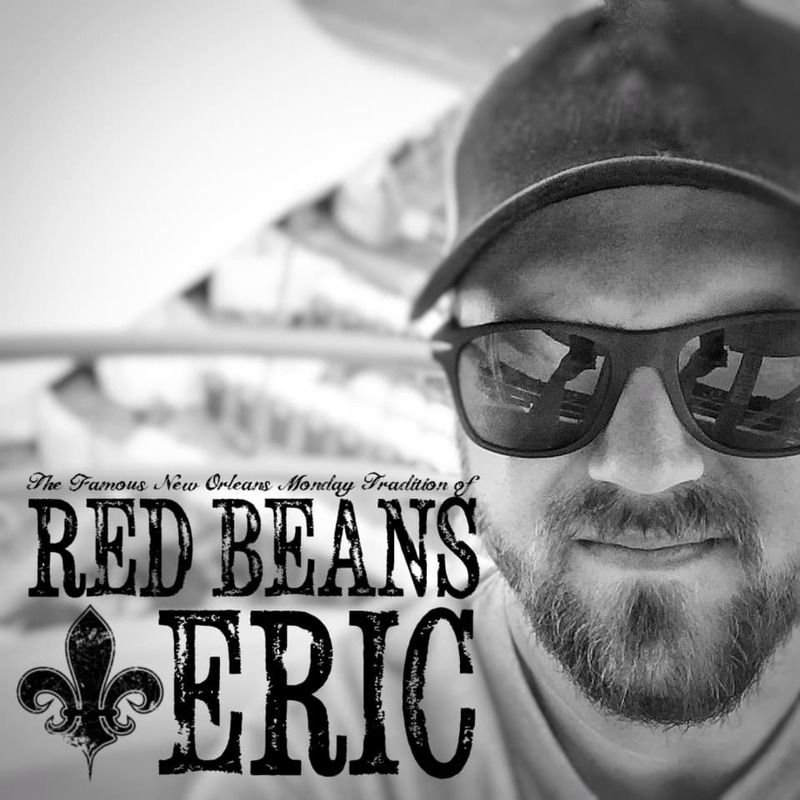 BRAD McGEHEE: How Do You Red Bean? KIT WOHL: How Do You Red Bean? I may have to make a road trip there! Thank you for the heads-up, Nicole! In Southeast Indiana it is not on the menue but they make them! It’s my favorite. I am going to make this tonight. Hope it’s good. The Taco Bell in Peru Indiana has the Chili Cheese Burrito. That’s the greatest website EVER!!! Thanks so much for sharing that! This is SUCH an awesome recipe! I’m a stay at home mom, and I recently made a batch just for me and ate off of it all week. It made for an easy and tasty lunch every day. I add corn chips to the inside of my burritos (the Frito Burrito, if you will), and it adds an awesome crunch. Also, your tip to wet the tortillas and then microwave totally changed our lives! Thank you so much for the kind words, Tracy! That’s a great idea with the Frito Burrito – I’ll have to give that a try next time! I hope you enjoy the recipe, Dewayne! Let me know what you think of it! Thanks! I tried this today and it’s a definite keeper. I did add a few chopped jalapeños and it’s amazing. ❤️ Thank you so much. I’m glad the recipes a keeper for you, Becky! Jalapeños is a great addition. I’ll have to add those next time a make this! I hope you enjoy the recipe! Thanks for the comment, April! Don’t let one bad burrito ruin it for you. Though, eating too many CCB could cause problems… I hope you enjoy the recipe. Be sure to let us know what you think of it after you make it. Thanks for stopping by and leaving a comment! I appreciate it! I’m going to have to try this out. I have to come to accept that none of the Taco Bells in my state have the chili cheese burrito anymore except for the rare promotional period, and I need a more reliable supply…. I know. It’s hard to accept that most Taco Bells don’t serve the CCB. I’m still struggling with this too. I hope you enjoy trying out this recipe. Thanks for stopping by and leaving a comment! Thank you for this recipe! Will try it. The chilito and old corn tortilla enchirito were my favorites since at least the 90’s and they still make the chilito at taco bells here in Kansas City Mo. I liked the old name even better when I learned the Mexican slang meaning. Funny as hell! Unfortunately the old enchirito is ruined by the flour tortilla. Oh well! Thanks for the great recipe! Didn’t have tomato paste or corn starch so I substituted tomato sauce and used less water. We always put sauce on ours so I went ahead and added some to the pan. My family loved these so much my husband went and got my recipe box out of the kitchen so I wouldn’t forget to add this one to it. Also I have never left a review before but this one definitely earned a 5 star from my family!!! My husband loves chili cheese burritos but I am a vegetarian and have never had one. He decided we needed to remedy that and came across your recipe. We changed out the beef for veggie crumbles and they were incredible. I was told they may be even better than the ones at Taco bell. We will be making these again and have already shared this recipe with all our chili cheese burrito loving friends. Thank you! Perrysburg Ohio inside of the TA truck stop they still have the chili cheese burrito!! Hi! 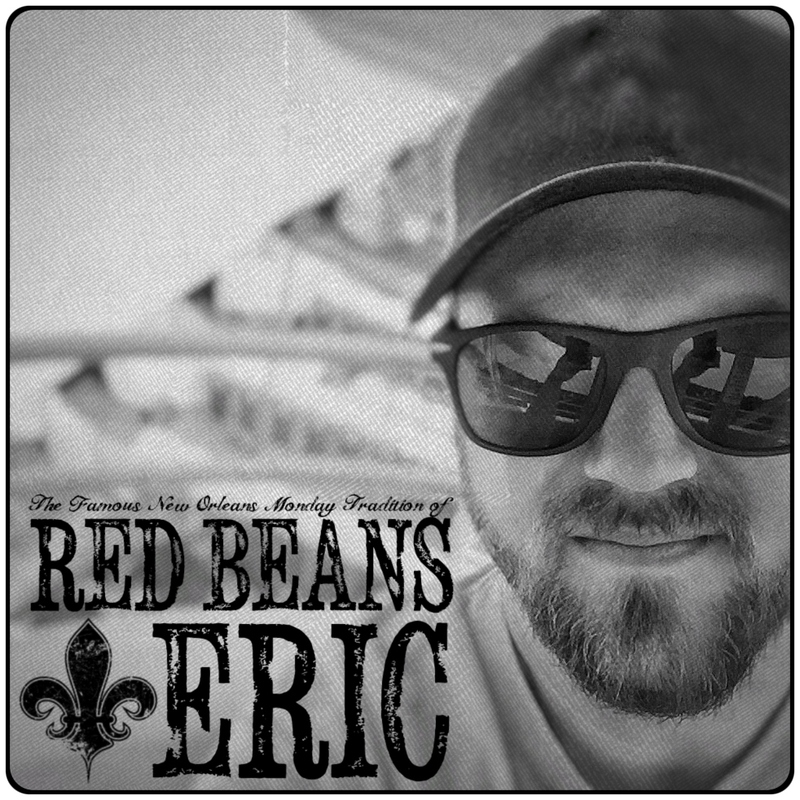 Welcome to Red Beans & Eric. This is about more than just red beans and rice. It's also about community, culture, and coming together over amazing food!